Chinese companies dominated the pack in the Asia Pacific Technology Fast 500 by Deloitte, which ranks the fastest growing regional companies in the software and hardware technology sectors, clean technology, media, communications and life sciences. Overall, China took seven of the top 10 companies and 30 of the top 500, with software seen as the most dominate sector, followed by media and hardware. Furthermore, Chinese unicorn Ke.com (Beijing) Technology, an open platform real estate provider, took top spot with a growth rate of 32,179 per cent over a three year period. In addition, the average revenue growth of the top 10 has reached the highest level in the 17 years since the rankings began at 17,314 per cent, while the average growth rate of all 500 companies reached 987 per cent, an increase of 387 percentage points from 2017, which saw average revenue growth of 600 percent. 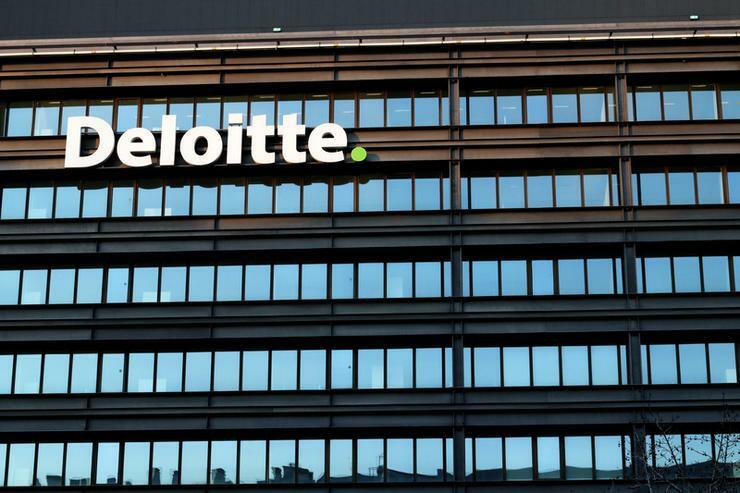 “This year brings an interesting and diverse selection of B2B e-commerce, including real-estate, chemicals, textiles, industrial supplies and fintech companies” said Toshifumi Kusunoki, leader of Technology Fast 500 Asia Pacific at Deloitte. "We are witnessing a rapid transition from legacy business models to online platforms among B2B ecosystems and China is at the forefront of this growth." In Singapore, three companies made the list, the highest ranked Synagie Corp coming in at 22, while Knolskape Solutions and vKirirom rank 194 and 251, respectively. While Synagie Corp develops a connected commerce platform, providing end-to-end commerce enablement solutions to businesses selling online and offline, Knolskape Solutions is an end-to-end learning and assessment platform for accelerated employee development, and vKirirom, a social entrepreneurship start-up. “We are honoured to be recognised by Deloitte's Technology Fast 500 Asia Pacific,” said Stanley Peng, CEO of Ke.com. “Our success lies in BeiKe, a platform that connects consumers and businesses, with a property transaction gene. “BeiKe is an industry infrastructure that has facilitated an ecosystem for diverse real estate brands, stores and agents, bringing together and empowering agencies of the property market, with similar value and goals." Awardees were selected based on percentage fiscal year revenue growth over three years. From a regional perspective, Taiwan contributed 91 companies followed by Australia with 71 in the top 500, both down from previous years. However, this is the first year Taiwan has no presence in the top ten, having been a mainstay since the ranking's inception. Two India companies hold sixth and seventh spot; MogIi Labs, an ecommerce business offering B2B procurement of industrial supplies, and Razorpay, which offers a secure method for merchants, schools, and ecommerce companies to accept online payments. China has the top performing company in all sectors except clean energy, which is taken by a company from India; Oriano Clean Energy. As has been the trend for the past six years, software continues to dominate sector growth. Down slightly from 214 companies last year, the 2018 rankings include 190 software companies in the top 500, accounting for 38 percent of the companies ranked. Five of the top ten are software companies, of which two; Weshare Financial ranked third and Razorpay, ranked seventh, fall under Fintech classification. "The growth of digital services combined with the need for flexible financing has fuelled the growth of fintech companies, and digital savvy customers in Asia Pacific, especially small and medium enterprises who are embracing fintech offerings for growth and geographical expansion,” added William Chou, lead partner of technology, media and communications at Deloitte China. "We also see leading banks in China focusing on digital transformation, investing in areas such as big data, AI and blockchain, which is leading to this growth of the B2B fintech segment." Media regained its spot as the second most prevalent sector in the ranking, with 107 companies, three of which make the top ten; overall winner Ke.com; runner up IBUYCHEM.com, a B2B platform in the chemical industry, and fourth-ranked, Qingdao Sinotex E-Commerce, a textile B2B platform.